Taft – Daniel “Danny” Garcia passed away peacefully on January 18, 2019 with his loving family at his side. He was 59. Danny was born on January 8, 1960 to Porfirio and Marina (Gamez) Garcia. He was a lifelong resident of Taft, Texas where he attended Taft schools. Danny was a beloved son, brother and uncle. He will be missed by all who knew him. Preceding in death are his parents: Porfirio and Marina Garcia; brothers: Jose Garcia and Porfirio Garcia, Jr.; and a sister: Josefa Rodriguez. Survivors include his sisters: Guadalupe Riojas (Fernando) of Corpus Christi, Texas; Sophia Guerrero (Reymundo), Petra Garcia, and Maria Sylvia Lopez, all of Taft, Texas; Ester Casanova (Ruben) of Floresville, Texas; brothers: Manuel Garcia of Taft, Texas, Pedro Garcia (Alice) of Refugio, Texas and Pascual Garcia (Olga) of Odem, Texas; and numerous extended family members. 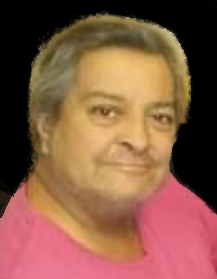 Visitation will be begin Wednesday, January 23, 2019, 4:00 PM at Resthaven Funeral Home Chapel in Sinton. A prayer service will be the same evening, 7:00 PM at the funeral home. The funeral service will be held Thursday, January 24, 2019, 10:00 AM at the funeral home with Pastor Olivia Riojas officiating. Burial will follow in Taft Memorial Park Cemetery, Taft.